Nothing is sacred if your name is Kim Kardashian and that includes pimping out your baby for money. Even if the baby is still in utero, Kim will find a way to profit…and profit she is! 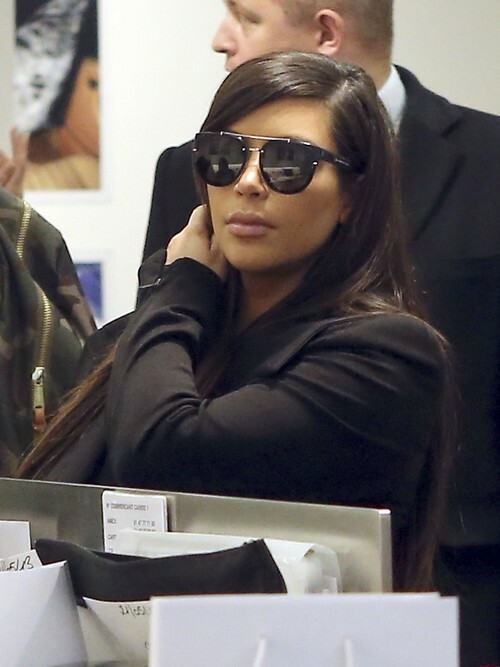 Kim decided to hit up the doctor’s office with her momager Kris Jenner and her two sisters, Khloe and Kourtney. Kim is all made up and is lying there on the exam table expressionless as the doctor performs a sonogram. Kourtney said that she got excited once she learned her babies’ sexes. Now, it’s Kim’s turn for the big reveal. We have to wonder how much E! paid her to reveal this information on their craptastic show. Any guesses? Did Kim have this taped without the consent of her baby’s father, Kanye West? We’re guessing that he didn’t want any part of the publicity involved in pimping out his own kid. What do you think? Will the show reveal the gender? Or is Kim waiting for a hefty payout from a magazine for that information? Meanwhile check out the last getaway Kim is having before the baby comes, CLICK HERE!